One of the promised benefits of capitalistic globalization, made by its perpetrators as the modern industrial revolution rapidly spread around the world, was that it would be a win for both the Western and developing worlds. Consumers in the west would get cheaper goods while people in developing countries would get jobs that would help them rise out of poverty. Sadly this has not been the reality. The problem with the capitalistic globalization model used in the fashion industry and many others was that it became solely concentrated on making profits. It comes at a huge expense to human rights, the environment, and workers rights. The establishment of sweatshops in developing countries came as a shocking revelation to the rest of the world in Michael Moore's 1998 documentary 'The Big One' which depicted how some MNCs (multinational corporations) were manufacturing their goods in these parts of the world through exploitative practices that overworked and underpaid laborers. Aricha, 33, gained her B.A. in Psychology with a minor in industrial and organizational psychology but has had a longstanding passion for fashion which led her to boldly walk away from her former career and pursue her interests in fashion. She has a background in interior decor and design, as well as fashion design in producing various cut and sewn items. Her inspiration for the concept behind Kenya Halisi Klassics was to use Kenyan fashion as a business that creates shared value for all the stakeholders involved, from the factory workers all the way through to the consumer. In a 2011 Harvard Business Review article by Michael Porter and Mark Kramer on 'Creating Shared Value', the authors engage in a discourse about the idea of bringing business and community together in a way that holistically uplifts and benefits all of the society. Porter and Kramer say, "The capitalist system is under siege. In recent years business has been criticized as a major cause of social, environmental, and economic problems. Companies are widely thought to be prospering at the expense of their communities". The whole concept of creating shared value according to Porter and Kramer is defined as "generating economic value in a way that also produces value for society by addressing its challenges. A shared value approach reconnects company success with social progress". Based on this concept, Aricha strategically chose the location of the atelier in an area close to Nairobi's largest slum, Kibera. Her vision was to create jobs and empower the people of the impoverished slum with skills that they could use to find their way into greener pastures. After the atrocities of fast fashion crimes like the collapse of the Rana Plaza in Bangladesh, in 2013, where 1129 factory workers died, the world has been in uproar against the unsafe working conditions of factory workers. Many condemn the lack of social responsibility in the profit driven supply chain models of the fast fashion retail industry. Some of the notable critics to this atrocity include Pope Francis who labeled the operation as ‘slave labor’. It is in the midst of all this uproar and outcries for justice that KHK has emerged as an alternative manufacturing option that is more sustainable, and empowers consumers to make more conscious shopping decisions by supporting slow fashion. 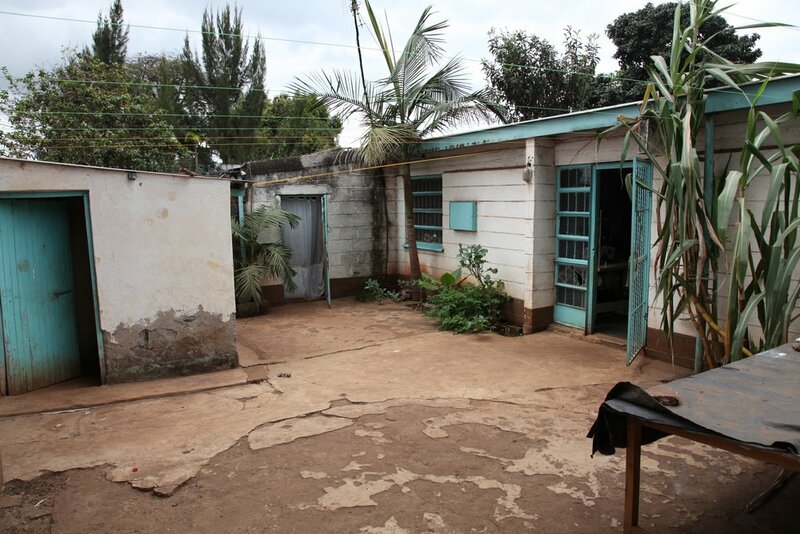 KHK is located in Langataa, Nairobi and has a full-time staff of 6 employees including Aricha who is the Director. The team consists of 3 tailors, a company chef who provides free meals for the whole team and the property caretaker who oversees the facilities management. All three tailors are skilled craftsman from the neighboring slum and are specifically trained for intricate cutting and sewing. The actual facility is a romantic suburban house that was renovated on the inside to be a more conducive work space and place of business, although Aricha sees the entire company, as a family and makes sure that all of her clients feel right at home. The word 'Halissi' which forms part of the company name is the Swahili word for 'Authentic', which is exactly what Aricha aspires to achieve with all of her productions; timeless authenticity. Among her list of clients thus far include Los Angeles-based eco-luxury brand 'Ministry Of Tomorrow' which commissioned her to oversee the production of their latest vegan leather luxury bag collection. When asked about her hopes and ambitions for the atelier, Michelle has stated that one of her most important goals is to demystify the stereotype around goods made in Africa as being only suitable for traditional and tribal design and instead show the world other aspects of the richness in African craftsmanship. 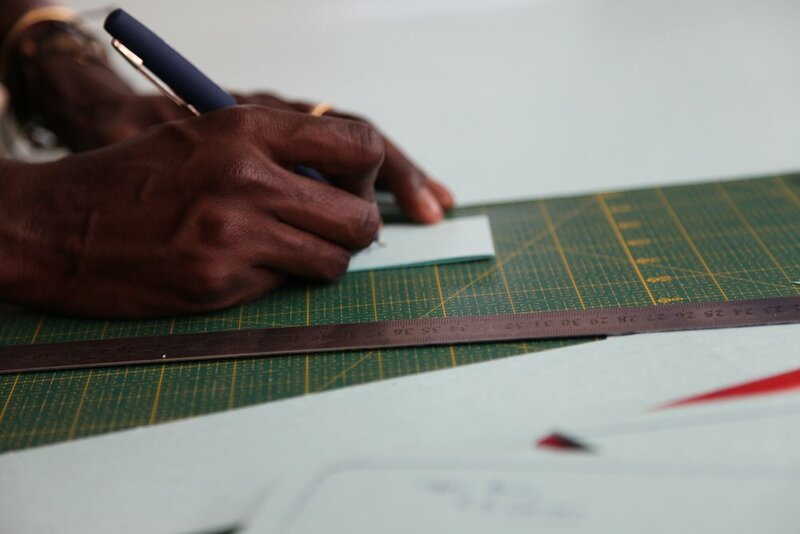 Aricha is very bullish about the future of Kenyan fashion and is now more excited than ever that more and more media attention is starting to get placed on the continent as a destination for production and development. With the likes of established design houses such as Stella McCartney and Vivienne Westwood already having created some of their own bag collections in Kenya, it is only a matter of time until the rest of the fashion world start seeing the light shining from the dark continent and drawing near towards it to discover its many hidden gems like KHK.